Thierry Mugler presents a new limited edition version of its most popular women’s fragrance Angel from 1992 for the summer season. 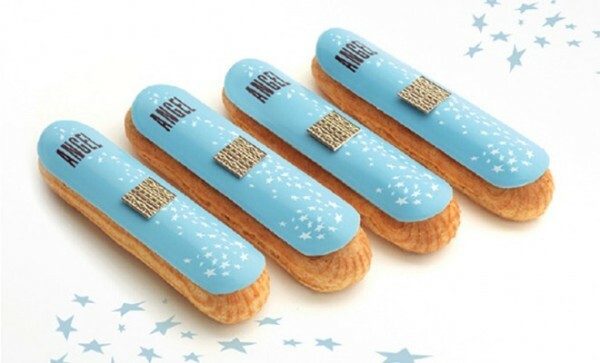 Angel Eau Sucrée is a mischievous and delicious new interpretation, an invitation to indulge in pure gourmand pleasure. Angel Eau Sucrée, developed by Dorothee Piot, retains some of its original notes as well as combining three new additions. Its pearly star-shaped bottle is sprinkled with glitter reminiscent of sugar. The packaging is inspired by vintage confectionery and it evokes memories of sweet little childhood treats. Available as 50 ml Eau de Toilette (non- refillable) starting end of May 2014. 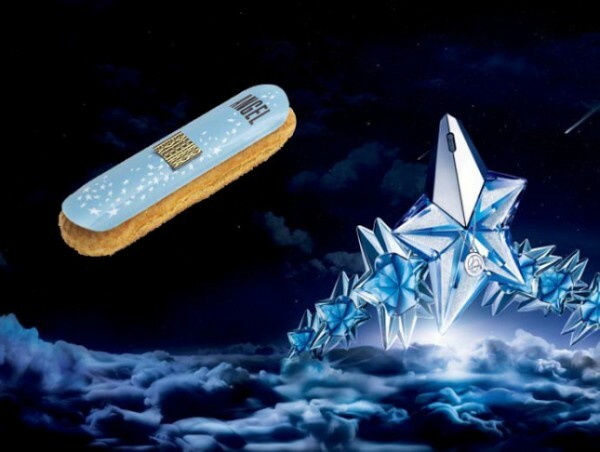 The French delicacies house Fauchon has been fully inspired by Mugler’s newest fragrance launch and has created the “Angel Eclair“, for which the composition of the Angel Eau Sucrée has been translated into this gourmet treat that features almond praline, caramel and vanilla notes. This limited edition will be on sale at Fauchon’s Place de la Madeleine store in Paris until June 7, 2014. The perfect union between two senses: smell and taste!